What Is Travel Influencer Fraud? Before we can properly get to the heart of the issue behind travel influencer fraud, we first have to understand the evolution of influencers in general, and why fraud has crept into the picture as influencer marketing has become more and widespread, more and more lucrative, and less and less regulated (or even vetted) by influencer agencies, influencer marketing platforms, and even the actual hotel, resort and travel brands that are supposed to be vetting or screening travel influencers for the value of their proposed earned media. Putting aside the premise that today’s alleged travel influencers may not actually be as valuable as the previous generation of travel bloggers who created larger digital footprints (see our graphic on the rise of social media influencers or social only influencers), with more fully-formed owned media (blogs and websites) for which their social media profiles were simply an extension,... today’s travel influencers tend to push the notion that having a spread of social media accounts upon which they build a natural, organic following is the base from which they can influence and propel engagement with your hotel or travel brand, once their followers see, experience and engage with your brand via their imagery, hotel review, or single-serving travel experience posts and micro blogs. Are you familiar with types of travel influencers? Learn more about them and discover their strengths and weaknesses so you can decide which one is the right fit for your hotel, resort or travel group! Some of these next-gen travel influencers started out in the blogging world by either writing a legitimate blog or simply by shooting any number of engaging videos and publishing them over time as a video blog (VLOG) on YouTube. 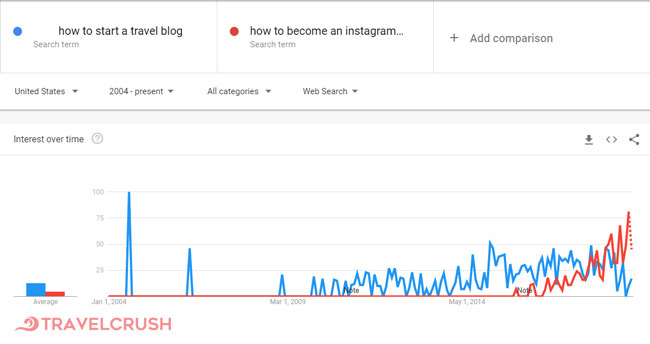 In the past few years, this has extended to Instagram, with clever, creative visual engagements now being the number way travel influencers tend to ‘sell’ their services - and with both Facebook and Twitter taking back seats to the Instagram account (and in some cases merely being a re-posting mechanism for existing posts). 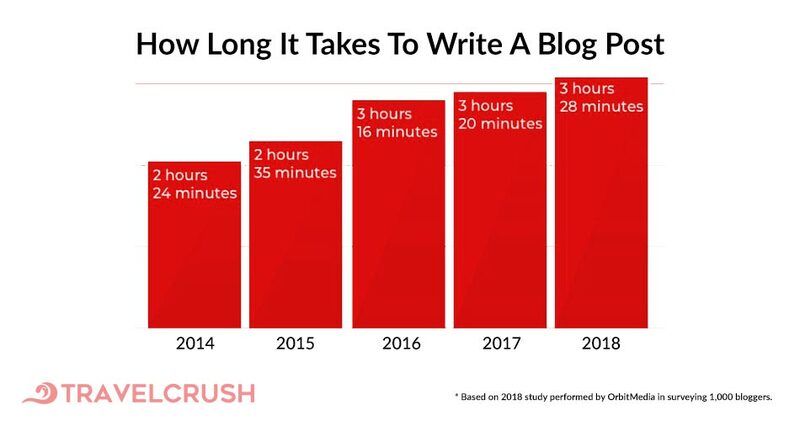 The fast spread of social media only influencers has outpaced the slow but steady blogger influencer market (influencers that actually have a legitimate blog or website where they publish articles or long form content), particularly in the past five years. In either case, influencers wield their influence via the discovery of their owned media (blog, Instagram profile, Facebook page, YouTube channel), and then they try to monetize this by claiming that their social media followings can and will make travel purchases, based on their sponsored posts, tweets, videos, or cleverly spun narratives that are ‘baked into’ their media. This is due in part to the fact that, while starting a blog itself is an appealing concept, the practice of keeping a blog alive over time, has become a much bigger challenge, especially with Google now demanding more and more relevancy and trust metrics from publishers, and more and more content being required in order to rank for certain keyword searches online, especially in travel seo or hotel seo marketing. Of course, the explosion of this social media only travel influencers, coupled with travel brands that have become increasingly willing to work with influencers, partially out of desperation to fight Online Travel Agencies (OTAs) by marketing their brand experiences on their direct (website), has led to a huge increase in influencer marketing fraud, where influencer posts have become increasingly worthless, and the possibility of driving real people to cross the built in travel sales barriers and book a trip based on an experience they’ve seen on one of the social networks, has become slimmer and slimmer. WE CAN HELP. LET US DO THE HEAVY LIFTING WITH YOUR TRAVEL INFLUENCERS. It’s been said that travel influencer fraud is worst type of influencer fraud, because the travel brand or hotel truly has no way of knowing whether the travel influencer really did a good job, or whether it was a scam from the beginning, due in part to the low engagement rate that even genuine influencers have with their followings when it comes to motivating people to travel. Normal fraudulent influencers do the same thing for other industries, but they aren’t able to necessarily hurt the brand with negative sentiment or reviews the way that a travel influencer might, by offering to review a hotel or resort (which live and die by their star ratings and reviews). For this reason, mainly hotel brands have turned to PR companies to identify, screen and vet legitimate travel influencers and even micro influencers in an attempt to bring some measure of earned media strategy to this new ‘wild west’ of influencer engagement, now riddled with influencer fraud at every turn. This introduces new costs to the hotel or travel brand, since they are paying a PR company extra hours to accomplish these tasks, and adds a new dimension of loss to the fraud if and when it happens with a travel influencer, because now, not only has the hotel been scammed, it’s also paid out a lot of money in the form of Pr fees and management costs. INFLUENCER FRAUD: A typical fake influencer account doesn't necessarily target a brand for negative reviews, especially retail or consumer goods brands where the sheer amount of reviews makes negative review blackmail a challenge to begin with. TRAVEL INFLUENCER FRAUD: A travel influencer behaving unethically knows that hotel reviews are extremely detrimental to decision-making in a traveler's booking cycle, and that the recency of even on negative review can deny a hotel brand thousands in revenue. INFLUENCER FRAUD: A weak or fake influencer that pitches a typical PR firm does so to the detriment of both the PR company (if they fall for it) and the brand(s) they work for. In the case of retail items, commodities or shipable/ecommerce goods though, the shareable impressions on the product still create earned media that people can take instantaneous action on. Translation: even a stopped clock is right twice a day, so the brand overpays the PR company bit for the wasted effort, but more actionable earned media is created, however weak it is. However, the fact that many eCommerce brands work directly with influencers instead of going through a PR company means that those brands don't take double hit from being billed TWICE - once from the influencer and once from the PR company. TRAVEL INFLUENCER FRAUD: A scammy travel influencer does double damage to the brand through the PR company, because their lack of real audience (either by feeder market or by sheer lack of genuine followers) not only causes the hotel to be billed unnecessarily by the weak travel influencers, but the PR company as well. INFLUENCER FRAUD: Oftentimes the metrics used for introducing new retail or eCommerce products (especially ones that are order-able online) are more centered around mentions and impressions on a new term or specific product name, which is why false influencers in these spaces do thrive, but oftentimes are able to affect legitimate trending metrics, depending on just how many accounts they control. TRAVEL INFLUENCER FRAUD: Booking a stay at a hotel is very different, and the key metric of a room-night is a much more challenging metric to pin actions to when it comes to just mentions and impressions. Just because 1,000,000 accounts mentioned your hotel online, does that mean anyone chose to book your hotel through your website? The effective way to track how well influencers deliver room-nights is through actual tracking parameters (in the case of social only influencers with large followings) or via increased organic traffic due to better ranks created by links from legitimate travel influencer earned media. INFLUENCER FRAUD: A weak influencer in some other industry pushing images of an easily consumable product might pickup a few errant shares, or even land a sale, by sheer scale of discovery, depending on just how large their fake or weak influencer base is. In fact, for some native retail items with unusual names, sometimes a massive fake influencer push is used to create the new brand name in a space where that new product 'never used to be a thing'. TRAVEL INFLUENCER FRAUD: A scammy travel influencer has no chance of overcoming the sales barriers to travel that beset every consumer because it isn't just a matter of having an actionable picture of an immediately consumable item out there for the world to share,... it's the issue that the travel narrative being showcased isn't relatable on any level to fake followers or weak engagers. Translation: No one cares about your stay if there's no genuine connection to the travel influencer's cause, adventures, or experience on a deeply-relatable level. Revenue Management | Revenue managers work tirelessly to adjust the rate strategy of a hotel and optimize the Average Daily Rate (ADR) to a level that is most profitable, based (sometimes) on very short windows of data and forecasted bookings. The prospect of giving away a room night or an entirely comped stay (while a sound marketing decision in some cases) can be a tough pill to swallow from a revenue management standpoint, especially if the influencer can only stay during a specified period of time. It’s situations like this where travel influencer screening services performed by an earned media expert who is familiar with the challenges hotels face, are invaluable. Diluting Direct Channel Marketing | A hotel’s direct channel, or website is the most important digital sales channel, because it has the best chance for a hotel’s online brand to resonate with visitors that are marketed to, and subsequently arrive there (as opposed to the OTA channel where there is virtually NO BRAND and NO MARKETING, since ‘sort by price’ is simply not a marketing strategy - hat tip Seth Goden for this one). As most hotels have an extremely tight direct channel marketing budget (made up of SEO/SEM, PPC/Retargeting, Email Marketing, and Paid Social Media tactics), the addition of another direct channel tactic such as travel influencer marketing is always difficult to make room for in the digital marketing budget pie, so-to-speak. This makes influencer fraud prevention a top priority for hotels or travel brands looking to get into this side of online marketing, to ensure that the influencers they do business with truly deliver value. Social Media Analytics Pollution | Imagine if your social media coordinator at your hotel or resort all of a sudden saw a large influx of brand mentions or tags on the name of your hotel or resort. Putting aside the fact that most hotels outsource their social media operations, and that very few social media travel marketers know what they are doing today, if this scenario developed, how would you measure success? Would you ask your social media person to measure the average engagement on your brand accounts? Or would you simply measure it under the nebulous (but underwhelming) auspices of ‘brand awareness’, simply admitting that hopefully more people ‘out there’ know about your brand, and maybe, magically, one of them will book your hotel now at some point? The point here is clear - neither you nor your social media person will really know how to translate these activities into measureable room nights for your hotel. It’s precisely for this reason that many hotels have shifted away from travel influencers already, in favor of social advocacy marketing as a new, and more effective version of travel influencer marketing for hotels. Check some of the new and innovating social advocacy campaigns our friends at flip.to are creating below. Negative Sentiment | Believe it or not, there have actually been cases where alleged influencers have threatened to negatively review a hotel, unless the hotel provides them with some kind of discount or comp, based on their posted, earned media about the hotel. This is the worst, and most direct kind of fraud because not only is it extortion (and illegal in some cases), it also greatly damages a hotel’s brand with false negative reviews that are completely baseless in most situations. This, as well as all the other reasons listed above, are compelling reasons for a hotel to partner with an expert in online influencer earned media that understands the needs of hotels and can not only screen out fraudulent or weak travel influencers before ever engaging with them, but also provide a more comprehensive hotel SEO influencer strategy that doesn’t rely on brand awareness or other unmeasurable metrics to deliver traffic and revenue to the hotel’s website over time. So how can a hotel, resort or travel brand prevent influencer fraud? The best way is to partner with someone who can take on the challenge of vetting potential travel influencers, working with established PR companies that the hotel uses to provide SEO value and source the right travel influencers, and bring a more SEO-centric influencer marketing strategy to bear on behalf of the hotel’s website, so that earned media is less about brand awareness, and more about increasing ranks, online discoverability by search engines and creating more traffic to that hotel’s website permanently, so that the direct channel can either convert it or have the chance to segment it into an audience for future retargeting. 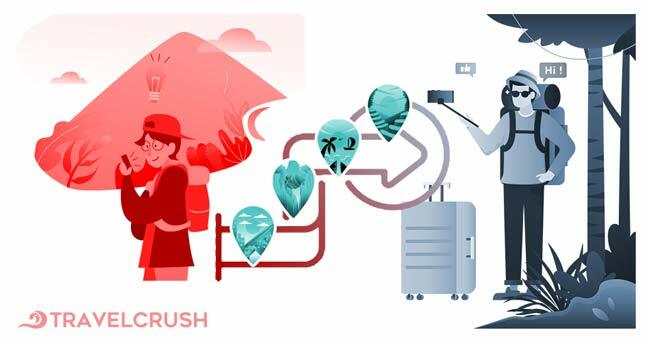 Regardless of whether you choose to partner with TravelCrush or feel like going it alone, here are some key strategic takeaways that you’ll want to make sure you’re following on the road to travel influencer marketing success! FIND YOUR TRUE NORTH | Reduce reliance on influencer deliverables that don’t contribute to your TrueNorth Traffic strategy. START SCREENING | Stop travel influencer fraud and shakedowns by having an influencer screening strategy. TRANSPARENT TALK | Make influencer value propositions transparent, and communicate them professionally but firmly, including which influencers are most valuable to you and why. MAKE IT MEASURABLE | Make goals measurable in terms of links, ranks, traffic, and mentions (in that order). PREP YOUR PR TEAM | Understand you PR company’s approach to identifying, screening and engaging with potential travel influencers before committing roomnights to any marketing campaign trade out or comp. OWNED EQUALS EARNED | Shift focus towards influencers who actually have a blog or main website as their platform, versus social media influencers who only have a spread of social media accounts (and request analytics for their website in order to vet their own market penetration). FIND FEEDERS | Research your top feeder markets for SEO travel influencers who meet all of this criteria, and who blog and post regularly (more than three times per month) within that market. If you take these keys to success to heart, you’ll find that you’re in a much better place when it comes to travel influencer marketing than your competitors, and the results will pay for themselves over time.